Johann Valentin Andreae (1586–1654), theologian, philosopher and writer, Andreae epitomized Protestant culture in Germany in the transition from the Renaissance to Baroque. He initiated the Rosicrucian movement and distanced himself from it, he wrote a theological-political utopia, wrote satires, poems, pamphlets and devotional works. His work combines all the major reform efforts of Protestantism before the Thirty Years’ War. This edition contains all the poetry, treatises and philosophical works and furthermore a representative selection of his occasional writings and funeral sermons which were typical of Andreae’s time and his circle of friends. A German translation has been included with the Latin writings. All the texts are provided with introductions and commentaries. We are much indebted to Professor Schmidt-Biggemann and his colleagues. When complete, Andreae’s ›Gesammelte Schriften‹ will be yet another monument to German scholarship. Edited, translated, commented and introduced by Roland Edighoffer. 544 p., 3 ill., 2 Lesebändchen. Herculis Christiani Luctae XXIV (1615). Bearbeitet, übersetzt und kommentiert von Frank Böhling. 404 p., 5 ill., 2 Lesebändchen. Ca. 894 p., 2 Lesebändchen. Edited, translated and annotated by Bernd Roling. Ca. 360 p., 2 Lesebändchen. Ca. 387 p., 2 Lesebändchen. 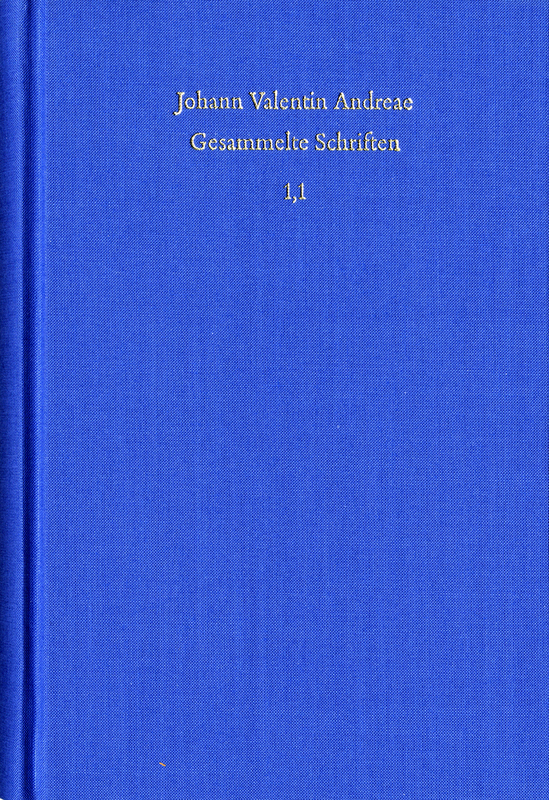 Edited, translated and annotated by Frank Böhling and Wilhelm Schmidt-Biggemann. Ca. 304 p., 2 Lesebändchen. 223 p., 9 ill., 2 Lesebändchen.